“Great people must experience great sorrow on earth,” wrote Dostoevsky. 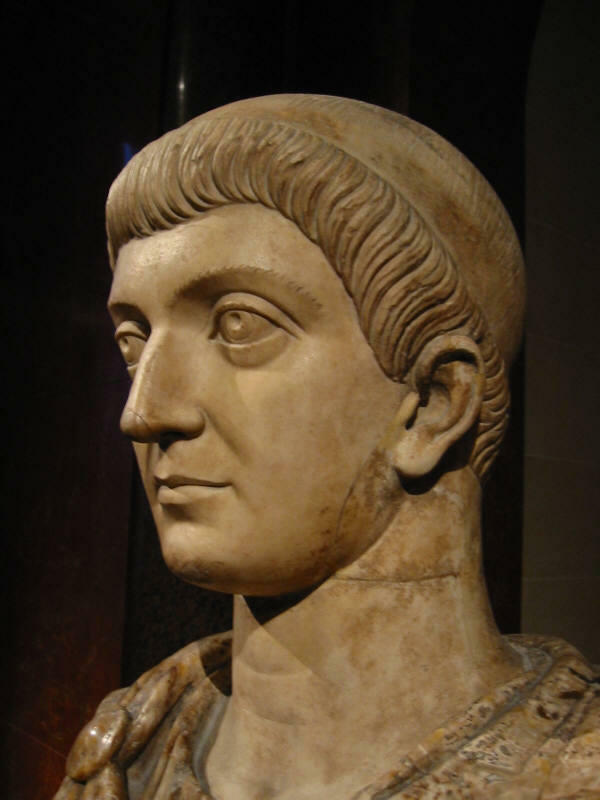 Constantine the Great, the first Christian Emperor of Rome, was certainly not called “Great” in vain. In those days, the word had the implication of “known to everyone for his merits, outstanding.” Likewise called “Great” was the celebrated Egyptian theologian, Bishop Athanasius, who had spoken out against the claim that the Son was not God, but only a creation that God, alone and terrible in His isolation, could dispose of as He saw fit. Athanasius and Constantine had met before the First Ecumenical Council and then, at the Council, the Emperor repeated hopefully the word he trusted would put an end to the debate within the Church: this was the famous homoousios, which means “consubstantial” or “one in essence.” This word signified the mystery of Christ, the Son of God. The Council upheld the term homoousios almost unanimously: 218 out of 220 bishops. Constantine, the Emperor, stood and met the confessing bishops who had suffered for Christ, personally greeting them with a kiss. This was akin to a wondrous dream, much like the feeling experienced by Russian believers in the early 1990s, when television showed not “the last priest,” as Khrushchev had promised, but church services and the Patriarch. The envoys from Umbria retreated, recalling the time at the beginning of the Christian era when the Emperor was called “savior” and “god.” The work of the First Ecumenical Council likewise came to an end, having proclaimed the Son’s Divinity equal with that of the Father… Time passed. The year 326 arrived. 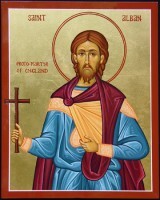 The twentieth anniversary of Constantine’s rule, which had coincided with the First Ecumenical Council, was behind him. 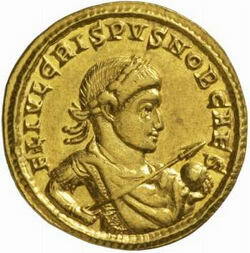 At the aged Emperor’s side was his young, energetic, talented son Crispus. Victorious general, admiral, and Consul that he was, bearing a strong resemblance to his father in both appearance and spiritual qualities, he was his father’s favorite and heir. So everyone thought, until Crispus was brought to trial before his father on charges of conspiring to seize the emperor’s throne. Who knows what kind of storm was underway in the Emperor Constantine’s soul? After all, this is not simply a matter of forgiving an attempt on his personal power and paternal feelings. No, we are dealing with Romans, with their notions and honor, with the good of the country. Could it really be, Crispus my beloved son, that you have decided to overturn everything that we built together? Are you really no better than the Empire’s enemies, than Licinius and Maxentius? Are you, too, ready to place your own ambitions above that of the “Pax Romana”? Do you want to plunge the commonwealth into the abyss of civil war? O Crispus, my son! You, who was born in Nicomedia, where your father was a hostage to Diocletian! Do you really not deserve the name of Roman? He grew weaker, withdrawing more and more into his inescapable paternal grief and contemplating the Son of God. Athanasius the Great was in exile because of the intrigues of episcopal schemers in court: Constantine’s word no longer carried such weight. He had placed his hopes for victory in the death of the Incarnate God, the Son of God – for only God can cause the departed to return and only with Him does his boy Crispus live, as Bishop Athanasius the Great had comforted him during one of their encounters. Fausta’s young sons, who had not carried out much mourning for their mother – who had died in random and inexplicable circumstances – had already begun to claim their father’s inheritance, quarreling and arguing. But Constantine the Great did not see any of this. 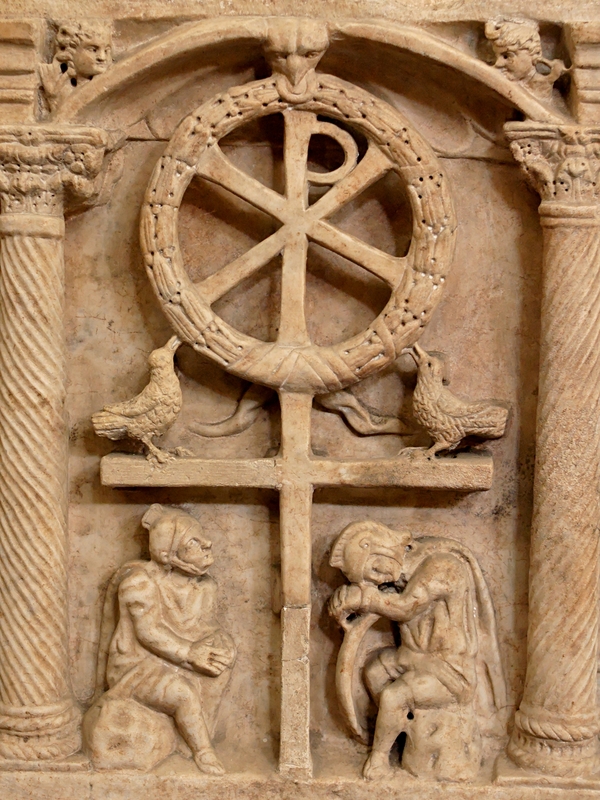 Like Trajan in Dante’s Paradise, he flew away as an eagle, the symbol of Rome, to the midday sun – on whose disk long ago, before the decisive battle of his life at the Milvian Bridge, he had seen an inscription: “You will conquer” and the letters “Chi” and “Rho” – the monogram of Christ, the Living God.